This 28-week program has been designed to take a student with little or no previous experience and supply him/her with the necessary skills to seek employment as an apprentice RV Service Technician. 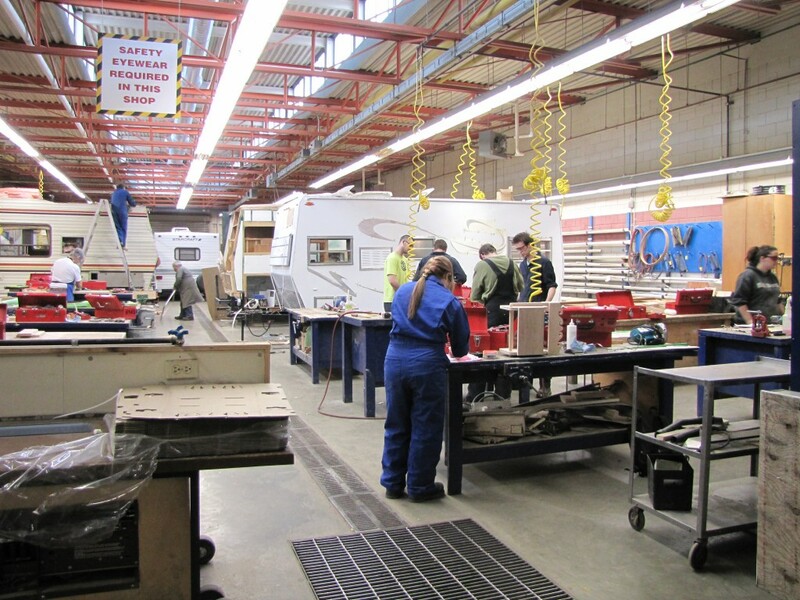 The program exposes the student to many aspects of servicing and repairs in the RV repair trade with a focus on developing practical skills. Graduates of this program will receive credit for Level 1 Apprenticeship technical training and may also be granted practical credit from the Industry Training Authority. One of: English 10, English 10 First Peoples, an equivalent intermediate level Adult Basic Education English course, or an ABLE reading comprehension score of at least 77%. Math requirement: Students graduating from secondary school prior to 2012: Mathematics 11 or an equivalent Advanced Level Adult Basic Education Mathematics course, or an ABLE mathematics score of at least 63%. ABLE mathematics score of at least 63%. Persons wishing to become apprentices must be employed with a business that employs a journeyperson RV Service Technician. The Industry Training Authority (ITA) sets up an agreement for apprenticeship between the apprentice, the employer and ITA. For information on becoming an Apprentice or to schedule your technical training, visit the OC Apprenticeship Office. The Recreation Vehicle Service apprentice will write the Interprovincial Examination on the last day of the level 3 technical training. Successful completion grants the apprentice with the Certificate of Qualification along with the Interprovincial Endorsement (Red Seal). The Interprovincial Endorsement is recognized across Canada. More job searching resources are available on the Alberta Learning Information Service (ALIS) website. Apprentices who began their apprenticeship on the former 2003 Training Standard can complete their program using that standard. Apprentices who began their apprenticeship with the March 10, 2016 version of the 690H training standard can complete their program using this standard. All apprentices with initial training agreements registered on or after March 10, 2016 must be trained to the new standard. On or after March 10, 2016, any apprentice who loses his or her training standard must be trained to and completed with the new standard even if they began their apprenticeship with the 2003 version. 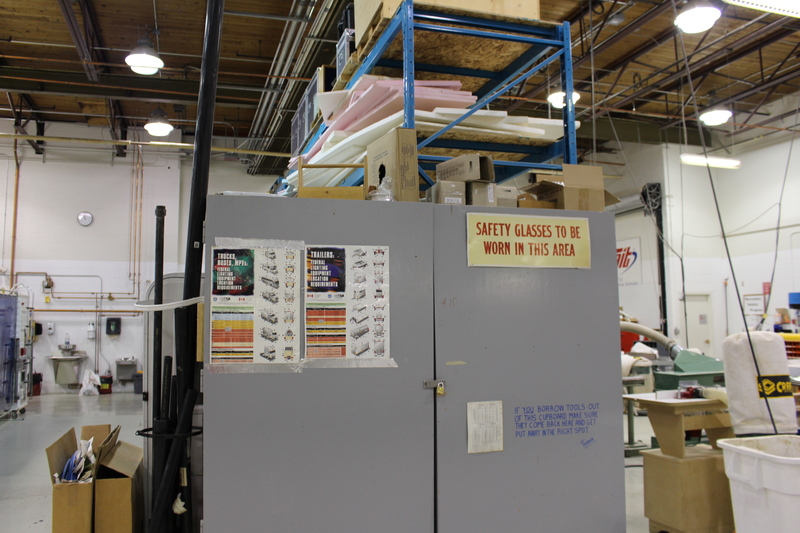 The Apprenticeship Training Standard Log Book identifies all the skills associated with your trade in Ontario. It is written in statements that describe how you, the apprentice, must perform each skill in order to be considered competent in that skill. RV Technician apprentices must complete their RV-2 LPG certification with T.S.S.A. prior to beginning Level 2 of instruction. RV Technician apprentices must complete their RV-1 LPG certification with T.S.S.A. prior to beginning Level 3 of instruction.